New Delhi [India], July 3 (ANI): The Indian Olympic Association (IOA) on Tuesday announced the 524-member contingent for the upcoming 18th Asian Games. New Delhi [India], June 15 (ANI): Bollywood star Akshay Kumar treated his fans and followers with the special glimpse of his upcoming movie, 'Gold'. New Delhi [India], June 15 (ANI): The 24-member senior fencing team was on Friday given a warm send-off to participate in the Asian Fencing Championship, which is slated to be held at Bangkok, Thailand from June 17 to June 22. 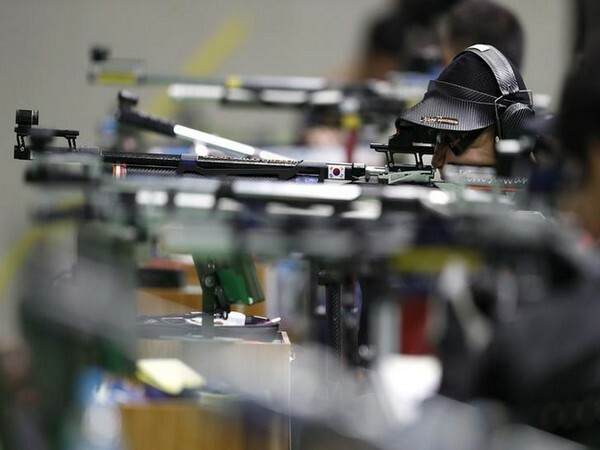 New Delhi (India), June 15 (ANI): Madhya Pradesh's Anil Kumar secured gold at the second day of the 18th KSS Memorial Shooting Championship at the Dr Karni Singh Shooting Range in Delhi. New Delhi [India], June 13 (ANI): Union Minister of Human Resource Development Prakash Javadekar on Wednesday announced new regulations by the University Grants Commission (UGC) for the appointment and welfare of university and college teachers. Chandigarh, [India] June 7 (ANI): Bharatiya Janata Party (BJP) president Amit Shah met hockey legend Balbir Singh at his residence in Chandigarh on Thursday as part of the party's ongoing 'Sampark se Samarthan' initiative. Pune [India], May 23 (ANI): With an ambitious goal of finding 10 best Indian shooters to chase medals in the 2024 Olympics, ace shooter Gagan Narang is all set to provide advanced training to 135 young players under his Project Leap initiative. New Delhi [India], May 4 (ANI): Rashael Kanwal from Shimla was just two-and-a-half-year old when she originated her passion of skiing in the beautiful snow range of Narkanda, an ideal destination for Alpine skiing and winter sports in Himachal Pradesh. New Delhi [India], April 30 (ANI): Days after bagging gold in the recently-concluded 21st edition of the Commonwealth Games, ace Indian shuttler Saina Nehwal on Monday said that she wants to see India picking up more medals in Olympics and Asian Games.